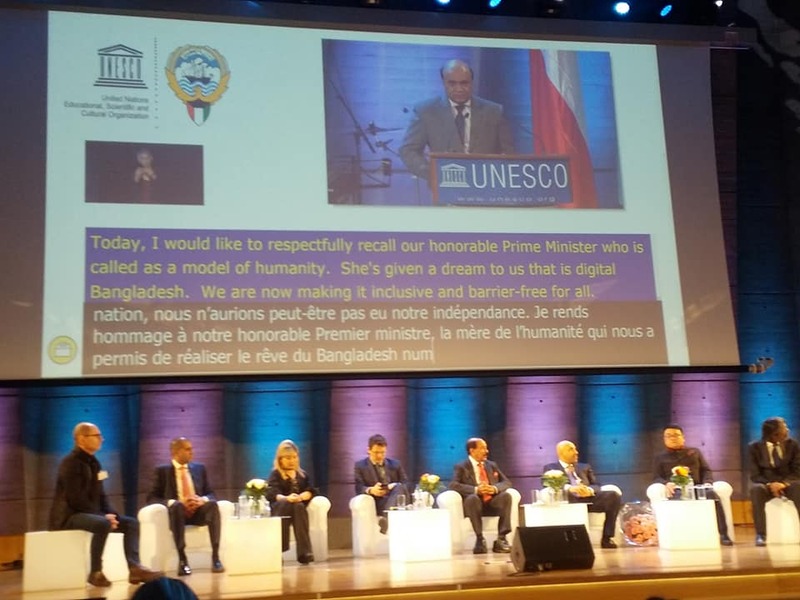 Disability rights advocate Mr. Vashkar Bhattacharjee of YPSA Bangladesh has been awarded UNESCO/Emir Al Ahmad al Jaber Prize for Digital Empowerment of Persons with Disabilities 2018 at UNESCO, Paris, France on Monday, 3 December 2018. This Global prize was given to him in recognition of his outstanding contribution to the empowerment of persons with disabilities through the application of ICT to access information and knowledge. His Majesty Sheikh Mubarak Jaber Al-Ahmad Al-Jaber Al-Sabah, the representative of the Kuwaiti Government handed over the Prize to him at a ceremony organised in observance of the International Day of Persons with Disabilities at UNESCO Headquarters. Mr. Bhattacharjee is credited for successfully developing Bangladesh’s first Accessible Dictionary in 4 forms, dedicated to persons with visual, print and learning disabilities. He is senior Program Manager of Young Power in Social Action (YPSA), a registered non-profit NGO working for sustainable development and Head of YPSA ICT and Resource Centre on Disabilities IRCD. He has also served as National Consultant for Access to Information (a2i) Program of the Government of Bangladesh. 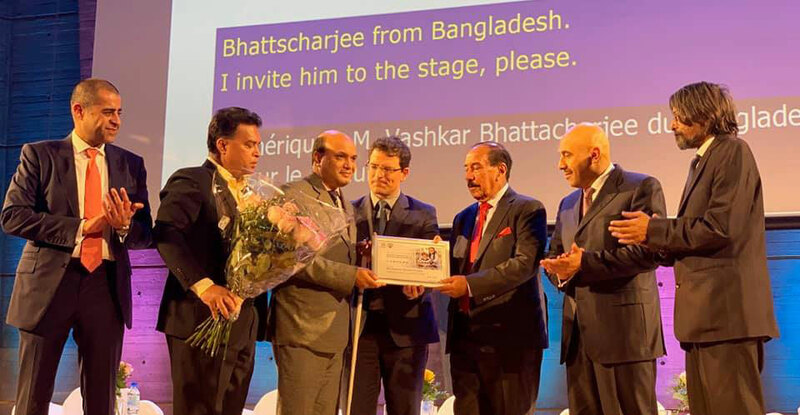 In 2016 Mr. Vashkar Bhattacharjee received a national award from the Honorable Prime Minister for his contribution for people with disability using digital technology. This is the first time ever that Bangladeshi has received this prestigious global prize. The Prize created in 2002 and supported by the State of Kuwait is given in individual and organisational category every two years in recognition of contribution for the promotion of quality education and raise awareness about the right to education of persons with disabilities. Tencent, a private sector enterprise from China was the recipient of the Prize 2018 in organisational category. In his speech, Mr. Vashkar thanked the Honorable Prime Minister noting that the Prime Minister has given us a dream of Digital Bangladesh and we are now transforming it into reality and making inclusive and barrier free ICT environment for the people with disability. Ms. Saima Wazed Putul, Chairperson of National Advisory Committee on Autism and a Member of WHO Expert Advisory Panel on Mental Health attended the award ceremony. 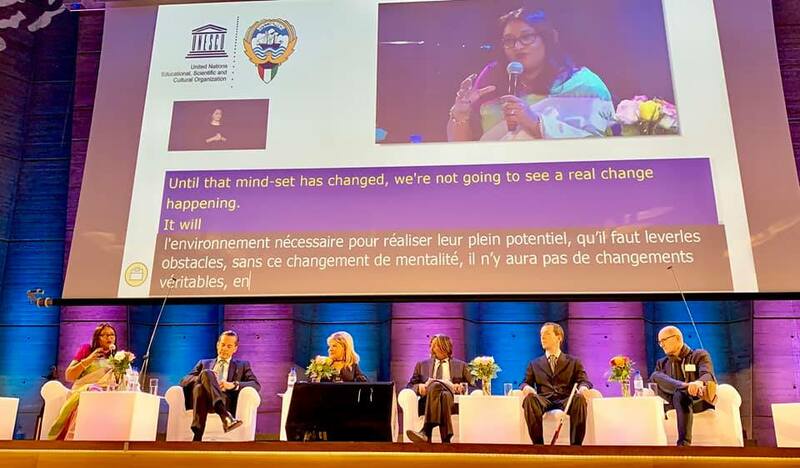 She also participated as a discussant at the Roundtable “Empowering persons with disabilities and ensuring inclusiveness and equality” held on the occasion of the International Day of Persons with Disabilities at UNESCO. Taking part in the discussion, Ms. Saima Wazed Putul noted that fundamental obstacle in addressing challenges to disability is changing the mindset of people, breaking the norms of working in isolation and engaging in dialogue in the society amongst all stakeholders including the people with disabilities. Mr. Indrajit Banerjee, Director of UNESCO Knowledge Societies Division, Ms .Lucy Hawking (daughter of Great scientist Mr . Stephen Hawking ) of National Star College UK, Ms. May Chidiac a renowned Labanese journalist, Professor Klaus Miesenberger from Austria, Mr. Fernando H.F. Botelho from F123 Brazil, Mr. Enrico Resmini, Chairman of Vodafone Italy Foundation Italy was other panelists. YPSA Chief Executive Md. 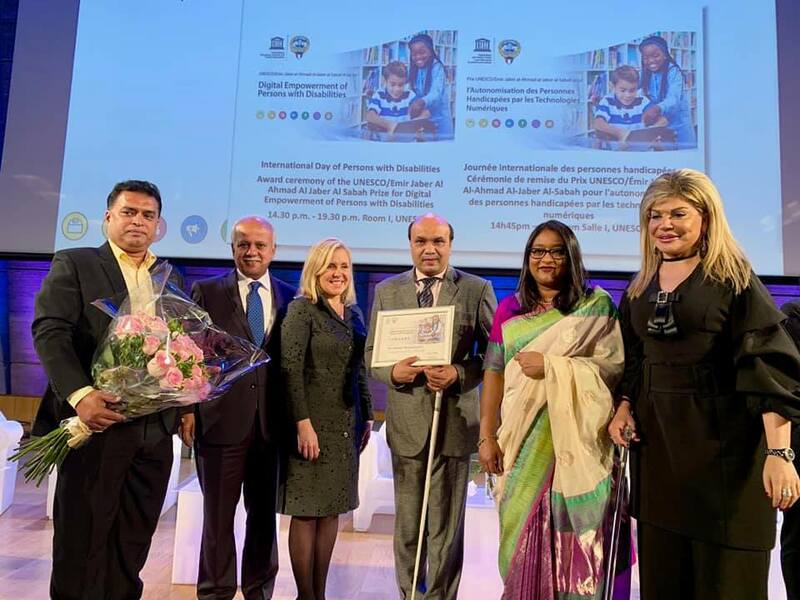 Arifur Rahman also joined at this global prize ceremony and exchange views with different official representatives of UNESCO and other International organisations and academic institutions about YPSA’s initiatives and innovation with and for the person with disabilities in Bangladesh.